This fully-lined trans-seasonal coat has oodles of classic style, with an optional belt and the choice of hood or collar. It looks carefully tailored, but you'll learn lots of tricks to give that effect without all the fuss. 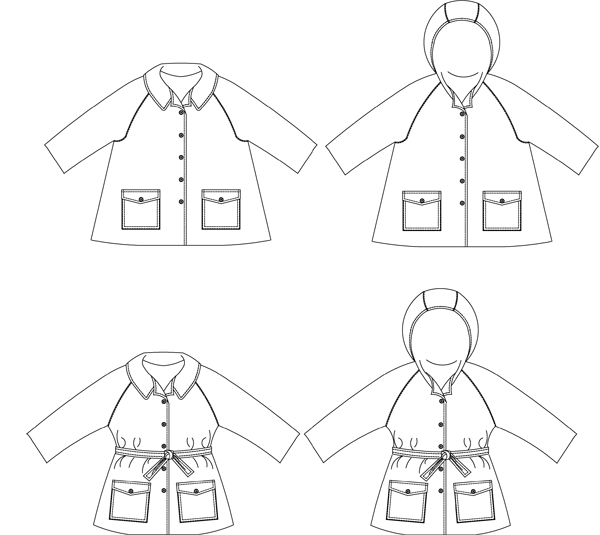 Make in light cotton drill, denim or pinwale corduroy, cotton laminate as a raincoat and in wool flannel for winter warmth.